The legs refer to the pants. 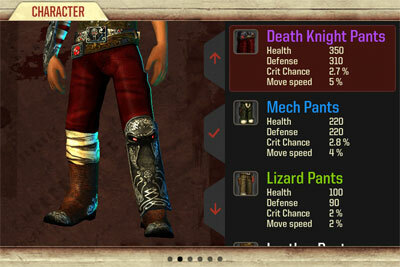 A pair of pants may improve health, defense, critical chance and speed but it is more capable of improving one's speed. The Dust Devil Pants provide the greatest increase in speed of movement, which is good for one to run and gun in coop multiplayer.